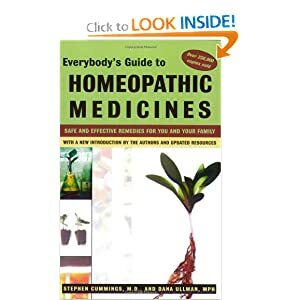 There are so many helpful books available for those who are interested in learning about natural and homeopathic health care, far more than we could practically include here. But we wanted to create a space within our web site where we could recommend books that might be especially interesting or user-friendly for information-seekers, like you. If a book is included here, that means we have read it and feel it’s well worth sharing. Expect this list to grow over time as new and exciting works come to our attention and we pass their titles along to you! Enjoy exploring the following books for starters! This highly-informative and entertaining read offers you a renowned homeopath’s perspective on the whys and wherefores of homeopathy’s historical struggle for mainstream acceptance, despite its documented, worldwide success in safely treating illnesses both ordinary and epidemic. The politics of medicine aren’t pretty. But then, what politics are? 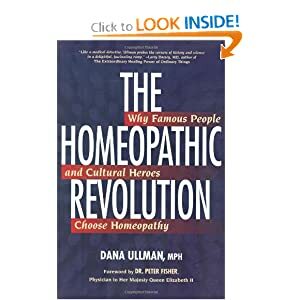 Ullman follows with accounts of an impressive roster of leaders and celebrities who have benefitted from and supported homeopathic medicine including such varied notables as Charles Darwin, Ashley Judd, Florence Nightingale, Abraham Lincoln, Bill Clinton and many more. Beginning with excellent introductions to the science and practice of homeopathy, this is a comprehensive, well-organized guide to home care with homeopathic medicine. For each health condition, the authors outline possible homeopathic interventions and distinguish when it’s necessary to get professional medical assistance. Though newcomers to homeopathy may feel more comfortable seeking the help of a licensed homeopath in treating certain conditions, this book can lay the groundwork for your understanding of this safe and effective branch of medicine. It can help to make you an “educated consumer” by providing you with insight as to how a remedy is carefully matched to an individual’s illness, emotional state and circumstance with the goals of eliminating the ailment and optimizing health. Written with the intellect of a Harvard grad, the heart of a nurse and the voice of a good friend, this super-user-friendly treatment guide is packed with helpful advice on how to care for (or prevent) many common maladies using natural medicine. The remedies and techniques outlined by the author are based on her 32 years of professional experience, first as a natural foods store proprietor in Cambridge, Massachusetts and then as a certified homeopath and holistic health educator. 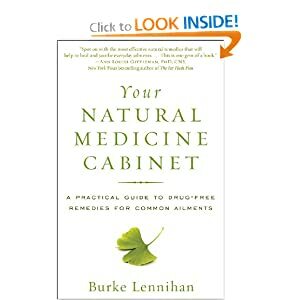 Lennihan complements her treatment suggestions with a wealth of information on homeopathic and natural health resources. Throughout the book, she integrates delightful anecdotes of clients’ successes with natural and homeopathic healing. The pages of this indispensable reference will quickly become dog-eared from frequent use!